National Parks Week kicks off on April 21st, and the National Park Service is celebrating with free admission to any national park unit that day! There are also other fee free dates throughout the year — Veterans Day, National Public Lands Day, and Martin Luther King, Jr. Day! Check out 2018’s fee free dates. What great opportunities to explore your national parks for FREE! Special NPS events in your area are noted on the NPS calendar. You may have read our National Parks – America’s Best Idea post, or you may have seen our link to the national parks we’ve visited, or you may have just noticed that we have a lot of posts about national parks. It’s because we have a goal: to visit all of the 59 US national parks. 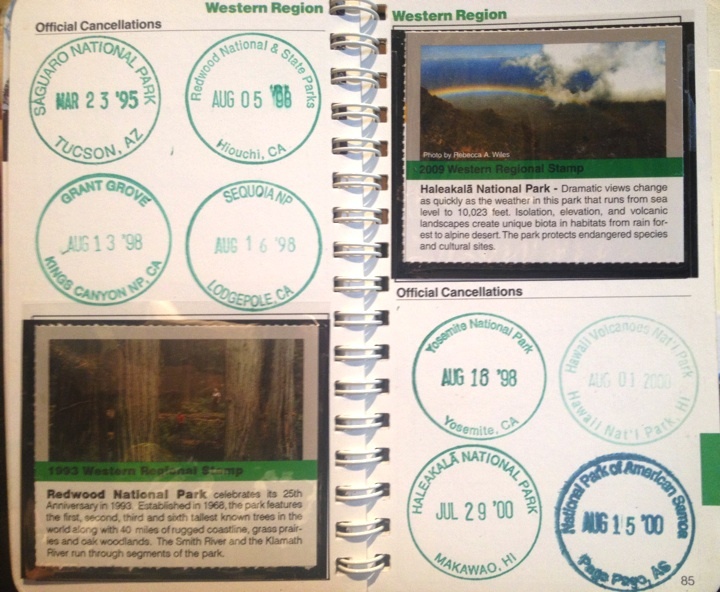 We’re making progress, too: we’ve visited 48 of the 59 US National Parks!! Every park we’ve been to is spectacular, and we’re sure you won’t be disappointed if you visit one. And you can’t really go wrong with free entry! We realize that setting a goal to visit all 59 national parks might be a little too much for some people, but you can start small. Maybe you could set a goal to visit one new place each year, or to try a new kind of vacation: maybe a home exchange or a camping trip. Or maybe your goal could be to accumulate enough frequent flyer miles to take a trip to your dream destination in five years. Once you’ve got your goal, start taking the steps to make your goals a reality. If you’ve already set a travel goal, evaluate how well you’re doing on reaching it! And please, share your goals in the comments section below.